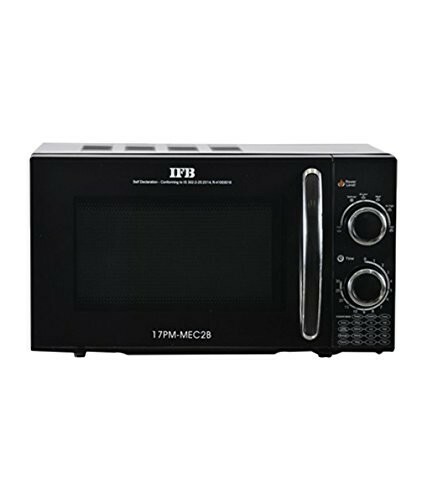 IFB 17 L Solo Microwave Oven (17PM-MEC2B, Black) has best features for best cooking result. It has powder coated cavity, mechanical timer clock and flexi power control levels for all your cooking flexibility. 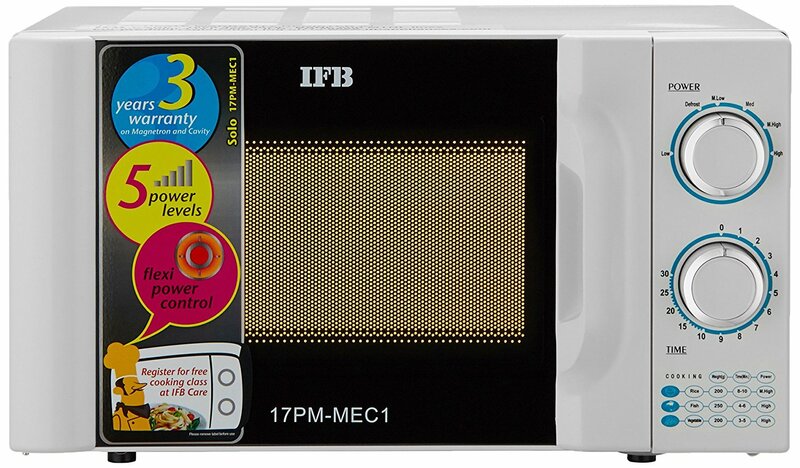 This IFB product comes with 3 years of warranty on magnetron and cavity that means you don’t have to worry of any problems happening in your microwave for a long time. IFB 17PM-MEC2B features Electromechanical Timer that is very helpful to control the power output and many protection devices in your unit. 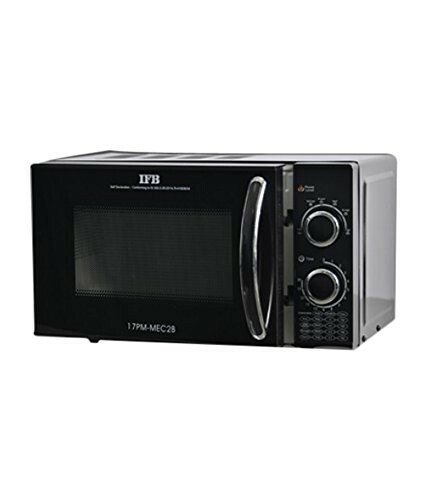 Further, this 17 liters IFB microwave oven comes with Speed Defrost feature. You just need to simply set the time and defrost frozen food and save up on time and effort to do so otherwise. On the other hand, the 5 power levels give you good cooking flexibility. These power levels are very good to ensure the best hating for your food. You can use a particular power level as per the food requirements so this is very helpful to prevent overcooking and to prepare evenly cooked food. Amazingly, IFB 17PM-MEC2B has 31 auto cook menus. These numerous menus let you explore the latest flavors and recipes at the comfort of your own home. You just need to enter the weight and leave the rest to the auto cook feature.